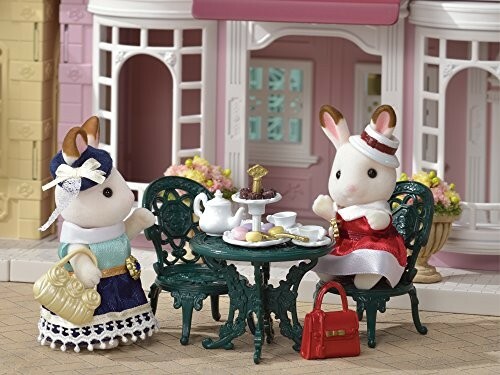 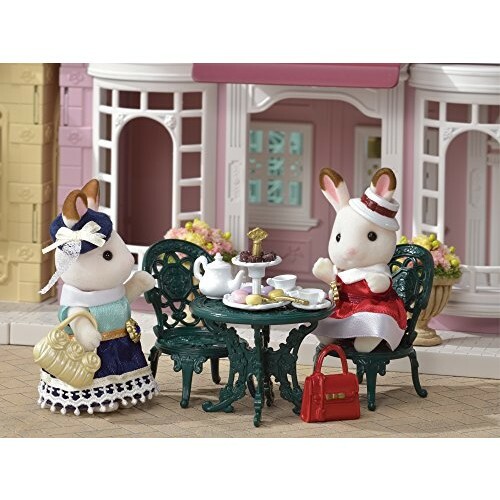 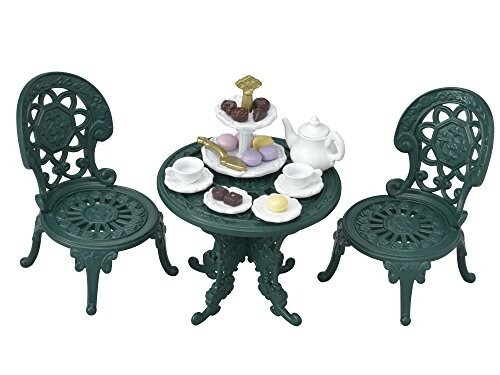 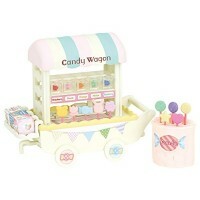 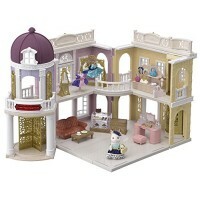 The Tea and Treats Set is a furniture set containing a garden table, chairs, and tea party accessories for two. 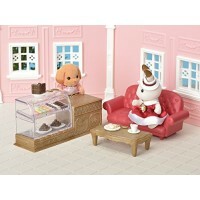 The furniture is designed with detailed, gorgeous engravings. 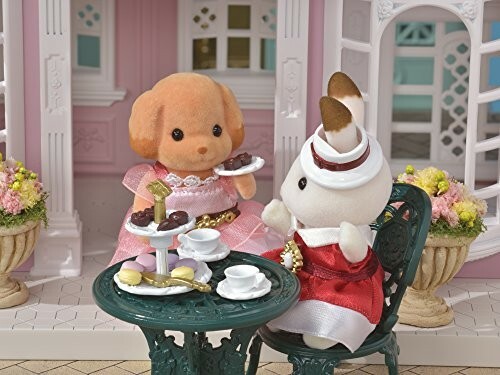 There are three types of macarons and chocolates. 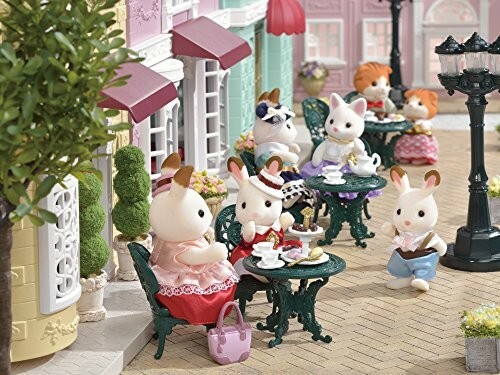 Set the Tea and Treats Set in front of the shops in the Town series to play as a sidewalk café. 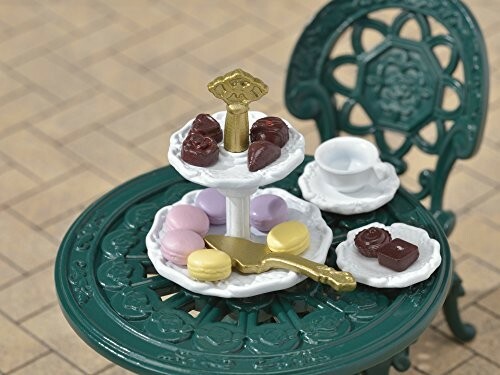 The macarons in this set come in the same size and shape as the ones included with the Delicious Restaurant (all sold separately). 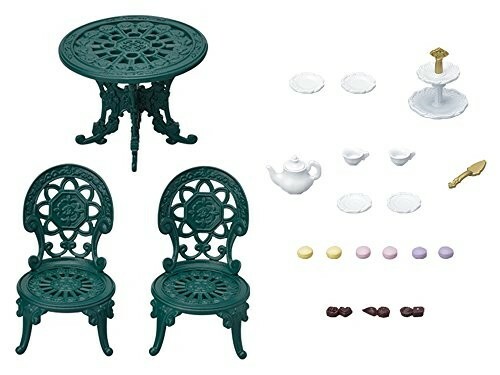 Garden table, chair x2, tea pot, tea pot lid, treat stand, handle, server, tea cup x2, saucer x2, plate x2, macaron (strawberry x2, blueberry x2, lemon x2), chocolate x3 (total 23 pieces). 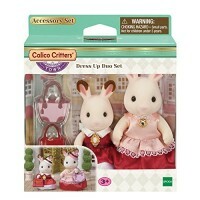 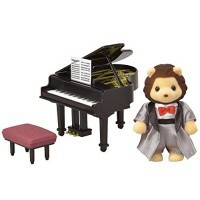 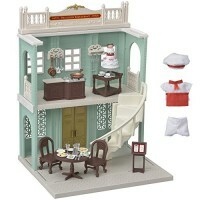 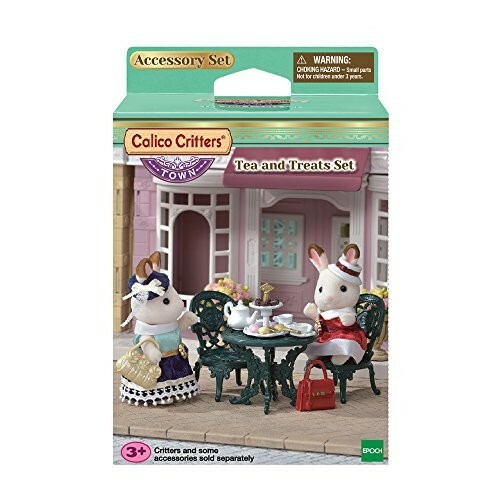 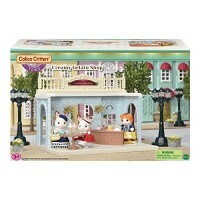 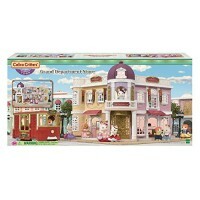 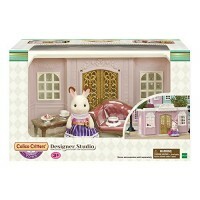 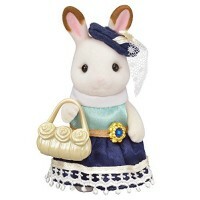 Dimensions of package 0.0217" x 0.0394" x 0.0591"
Write your own review of Calico Critters Town Tea and Treats Set.